One of the most rewarding aspects of Constructing Modern Knowledge is the ability to work with some of the world’s leading educational technology experts on personal project development. Cynthia Solomon, Brian Silverman, Gary Stager, Brian C. Smith, Dan Lynn Watt, Molly Lynn Watt, Sylvia Martinez, Claudia Urrea, and Brian Smith have unrivaled experience and expertise teaching and learning with computers. Cynthia was one of the three people responsible for creating the Logo programming language over forty years ago and Brian Silverman is a master learner who has created many of the world’s most popular construction environments for learning since the late 1970s. This firepower is in addition to the amazing guest speakers featured at CMK 2015! Dr. Solomon directed the creation of educational materials for the One Laptop Per Child Foundation. She is a pioneer in the fields of artificial intelligence, computer science and educational computing. In 2016, Cynthia was presented with the Pioneer Award from the National Council for Women and Information Technology. 50 years ago while at Bolt, Beranek & Newman, Cynthia, along with Seymour Papert and Wally Feurzig created the first programming language for children, Logo.She was Vice President of R&D for Logo Computer Systems, Inc. when Apple Logo was developed and was the Director of the prestigious Atari Cambridge Research Laboratory. Dr. Solomon has maintained a long relationship with the MIT Media Lab and the One Laptop Per Child Foundation in addition to her teaching, consulting and scholarship. Her doctoral research at Harvard led to the publication of the critical book, Computer Environments for Children: A Reflection on Theories of Learning and Education. Cynthia Solomon is also the co-author of Designing Multimedia Environments for Children, with Allison Drum. Cynthia Solomon’s archive of classic videos about learning and computers, Logothings, may be found here. Dr. Solomon is the Constructing Modern Knowledge Senior Fellow. Josh is the Middle Division Educational Technologist at The School at Columbia University. He earned a BA in English and Education from Colby College and a MA in Educational Technology from Pepperdine University.An innovative maker educator, his book, The Invent to Learn Guide to Fun, inspires makers of all ages to explore the intersection of crafting and technology through thirteen whimsical, creative projects. Josh taught and worked in technology in both public and private schools for the past 18 years. He writes books and consults on educational projects that he finds inclusive and disruptive. During the 2015-16 school he established an after school Logo programming club encouraged inner city students to create knowledge about Logo programming, fabrication, electronics, and art. The students programmed algorithmic designs; created t-shirts from their work; learned how to use and maintain a 3D printer; transformed their designs from digital to 3D printed artifacts; assembled the electronics for a Logo-based robot; 3D printed the robot’s “body”; and launched in depth mathematical explorations as they created beautiful ink drawings from their procedures. Additionally, Josh led Horizon National’s implementation of a LEGO Community Fund grant to implement LEGO, play-based learning, and STEAM concepts into Horizon’s summer curriculum for K-5. Josh’s projects have been published in Make Magazine as well as in RED, a Spanish education journal. Josh is interested in culture jamming, making sounds, Logo programming and the LogoTurtle robot, and 3D printing. Spacewar! The original 1962 video game running on a PDP-1 emulator created by Brian and friends. 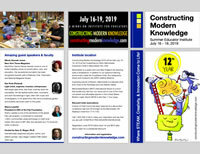 His article, “What I Did On My Three Summer Vacations,” will help you understand why Brian is an idispensible part of Constructing Modern Knowledge! Tracy works in a NYC public school and spends her days working with students and helping them with their awesome projects in the STEAM class and the lunchtime tinkering / makerspace. Tracy’s goal is to provide an opportunity and a space where students can explore ideas in ways that are meaningful to them, use a variety of tools, materials, media, and make things with the innovation and creativity that middle school students are famous for. Tracy also volunteers her time with several after school and weekend coding clubs for kids in the NYC area. Tracy was named one of “20 Educators to Watch” by the National School Boards Association. Jaymes Dec is a technology teacher in Marymount’s Upper Middle School. After graduating from the Interactive Telecommunications Program at NYU, Jaymes was the Program Manager at a National Science Foundation program for high school students from the South Bronx that taught science, technology, engineering, and math skills through classes on sustainable design and green technologies. Jaymes is a co­founder of The NYC Makery, a community makerspace for children in Gowanus, Brooklyn. He is on the Board of Directors of the Nerdy Derby, an education non-profit that organizes creative design challenges for children. Jaymes is an Adjunct Professor at Teachers College, Columbia University in the Creative Technologies Certification Program. He is the coauthor of Make: Tech DIY: Easy Electronics Projects for Parents and Kids. Jaymes was named a “Teacher of the Future” by the National Association of Independent Schools and a Senior Fab Learn Fellow by Stanford University. Steve Dembo served for ten years as Discovery Education’s Director of Learning Communities and led their Innovation and Strategy team. He is the co-author of the book Untangling the Web: 20 Tools to Power Up Your Teaching. The National School Board Association named him one of 2010’s “Twenty to Watch,” a list honoring individuals finding innovative ways to use technology to increase classroom learning. In 2013 he began serving the Skokie/Morton Grove District 69 as a member of the School Board. Dembo is a course designer and adjunct professor for Wilkes University where he serves as class instructor for the Internet Tools for Teaching course within the Instructional Media degree program. 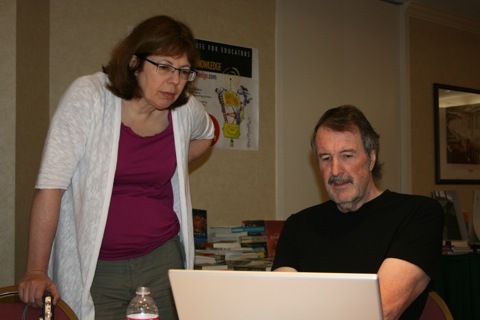 Molly and Dan, former classroom teachers, pioneered teaching Logo to teachers and promoting educational uses of computers for collaborative and constructivist learning. During the 1980s and 1990s they wrote several Logo books, each wrote a featured monthly column and many articles. They usually worked as a team, lecturing, and leading teacher workshops and courses throughout the US and Canada, and in China, Australia, Italy and Bermuda. 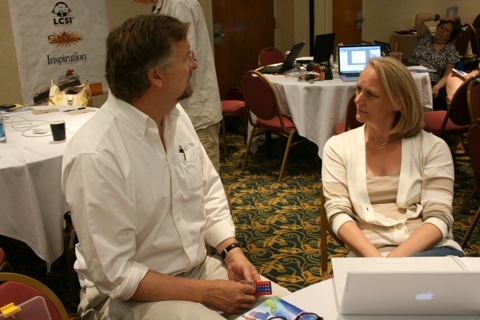 From 1984 – 1989 they co-founded and led The Logo Institute in various locations as graduate professional development for educators by immersion into hands-on group projects. Molly and Dan’s book, Teaching With Logo: Building Blocks for Learning (Addison-Wesley, 1986), demonstrates this approach. 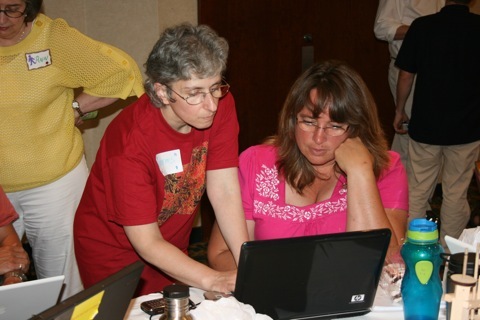 From 1987 to 1991 they created and led The Logo Action Research Collaborative (LARC), funded by the National Science Foundation to train and support teachers using Logo with their students in collaborative action research to enhance and document the learning of students having fun with Logo. The work of LARC was presented at many national and regional conferences, and published in a NECC monograph, New Paradigms in Classroom Research on Logo Learning, (ISTE 1993).The Watts’ approach to action research was documented in the chapter, “Doing Research, Taking Action and Changing Practice with Collaborative Support”, in the book, Diagnostic Teaching, Teacher’s College Press, 1999. After earning a Ph.D. in engineering Dan worked with Seymour Papert and the MIT Logo Group where he led seminal research in educational computing, notably the Brookline Logo Project in the 1970s. His book, Learning With Logo, (Byte Books, McGraw-Hill, 1983-1985) was the first comprehensive Logo book for non-computer scientists. It including programmed activities ripe for expansion and debugging strategies and explanations for teachers and students. It sold more than 100,000 copies and was translated into Chinese, Spanish, Italian, German and Hebrew.Dan’s long career in education starting in the sixties featured constructivist approaches to math and science education many funded by the NSF. He was a software and curriculum designer for Math and More, a computer enhanced math curriculum for grades K-8, published by IBM in the US and Canada; Principal investigator for Technology Enhanced Learning of Geometry in Elementary Schools; and math consultant and curriculum author for several units of the University of Alaska’s Mathematics in a Cultural Context: Lessons Learned from Yup’ik Eskimo Elders. For the past two years Dan has supported The Young People’s Project (YPP) in developing an after-school Scratch curriculum. YPP, an inner-city math enrichment program, is an outgrowth of Robert Moses’ Algebra Project. Molly likes to teach by listening and reflecting. She was a trial teacher for many NFS-funded math and science projects in her classroom, including Logo during its development. She insisted that computers were a tool for everyone, and slowly went about making good use of her black Apple in 1980 and her Radio Shack TRS-80 for messaging and filing stories via the telephone. Her workbook series for elementary students, Welcome to Logo! (D.C. Heath 1986), was translated into Spanish. She led components of on-line action research as professional development for many federally funded projects in educational reform: The ATLAS project, NCIP, US State Systemic Initiative, Pain Management Leadership Teams in hospitals and Best Schools Leadership Teams. 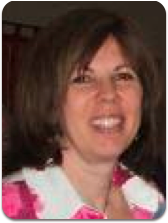 She was an Associate Professor of Education at Antioch New England Graduate School. The day after the towers fell, Sept 12, 2011, she resigned and has worked as a poet ever since. She is widely published and gives many readings each year. Her second book of poem, On Wings of Song—A Journey into the Civil Rights Era will be released by Ibbestson Street Press in July.Molly and Dan are life-long constructivists and activists working for civil rights, peace and schools where everyone can be involved learning together. For the past decade they teach in the Harvard Institute for Learning in Retirement (HILR) courses on The Civil Rights Movement, nonviolent revolutions, Woody Guthrie, Pete Seeger and writing. They are among the co-founders and developers of Cambridge Co-Housing, a 16-year adventure in collaborative community living with a focus on reducing our environmental footprint. And they sing and play every week in a ukulele band and will lead a Ukulele Festival in New Hampshire in August. Sylvia Martinez is a veteran of interactive entertainment and educational software industries, with two decades of design and publishing experience. She is currently President of Constructing Modern Knowledge Press. Prior to that, she was President of Generation YES for nearly a decade. Sylvia oversaw product development, design and programming as Vice President of Development for Encore Software, a publisher of game and educational software on PC, Internet and console platforms.Sylvia was also involved in the company’s Internet initiatives, including Math.com, the award-winning web site that provides math help to students worldwide.For seven previous years, Sylvia was an executive producer at Davidson & Associates/Knowledge Adventure, a leading educational software developer.She designed, developed and launched dozens of software titles including Math Blaster: Algebra, Math Blaster: Geometry and Maurice Ashley Teaches Chess. In addition, she was responsible for Educast – the first Internet service for teachers that provided teachers with free news, information and classroom resources. Before Davidson & Associates, Martinez spent six years at Magnavox Research Labs, where she developed high-frequency receiver systems and navigation software for GPS satellites.Sylvia has been a featured speaker at national education technology conferences in areas ranging from the use of the Internet in schools, Web 2.0 technologies, student leadership, project-based and inquiry-based learning with technology and gender issues in science, math, engineering and technology (STEM) education. She holds a Master’s in Educational Technology from Pepperdine University , and a bachelor’s degree in electrical engineering from the University of California, Los Angeles. Read Sylvia’s popular blog here. 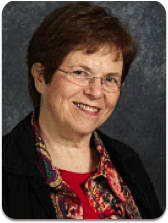 Sylvia is the co-author of Invent To Learn: Making, Tinkering, and Engineering in the Classroom. Brian C. Smith is ICT Facilitator at Hong Kong International School before that he was an Instructional Technology Specialist for the Monroe #1 Board of Cooperative Educational Services in the Rochester, New York area. His decades in education have taught him a most important aspect about learning, to enjoy it.Believing that play can be a sophisticated way of learning, Brian has been creating and promoting Math and Inventor’s Playshops teaching both students and educators the power of learning through creative computing. Of particular interest lately has been the DIY phenomenon and the use of Arduino prototyping platform for creating interesting interactive objects and solving problems. Brian was also a NYSCATE Board Director and has helped plan, organize and coordinate numerous conferences and events, including a Constructivist Celebration at the National Museum of Play. Read more about our amazing guest speakers!